Whistle-Podu for Chennai and her people! Sometimes words cannot describe the pristine human spirit at work. 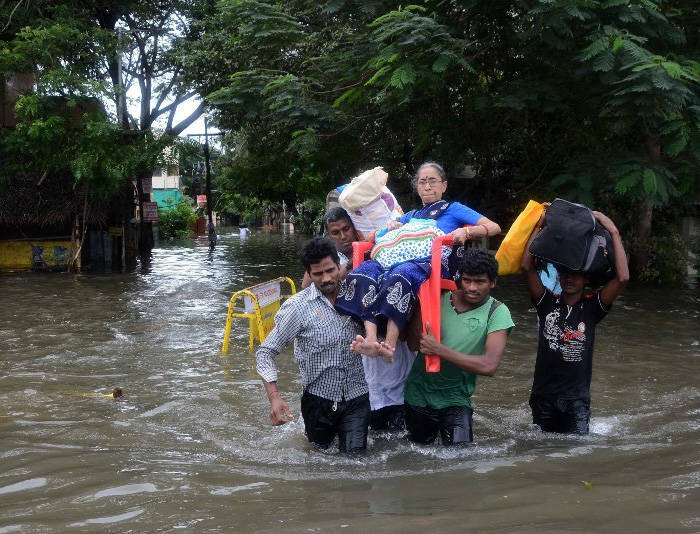 As Chennai goes through a disastrous phase of dealing with a calamity of apocalyptical proportions, some of the images and updates that are coming via social media are so heart-warming. People are helping each other – food, clothing and emergency medicines are being arranged. Strangers are chatting each other up. There is so much damage, so much loss, so much gloom with so much water flooding the city – yet the streets are full of inspiring, touching gestures and stories. A young man on a two-wheeler offered to take me around the block just so that I could see how we could get some food to an elderly couple. I hear people are sharing their wi-fi passwords freely so that families can be in touch with their loved ones – the telecom network has sputtered to a stop. But internet connectivity, particularly through BSNL, is still on. A neighbor has cooked hot meals for stranded people and is busy going around in a truck distributing it. My good friends Divya Srinivasan and Koushik Udayashanker have taken it upon themselves to go around comforting animals – street dogs and cats in particular, who are startled, frightened and hungry. 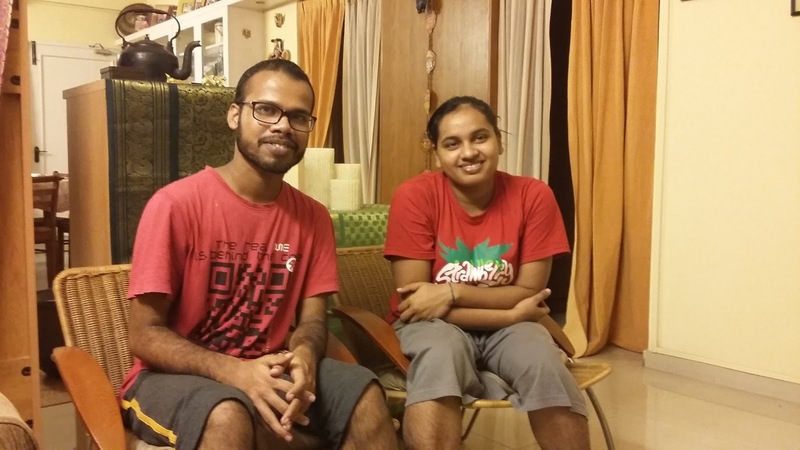 And the young team of founders from The Postbox, Nikhil Joseph and Madhuvanthi Senthilkumar, are doing phenomenal networking on social media – connecting people, supplies and relief operations! I can’t find words to describe their compassion. For our part, last evening we took in a young couple, Monika and Vishal, whose home got flooded. We didn’t know them – we were tagged by a friend, whose friend’s friend knows them! Talk of the power of social media! There are so many, many, many more stories. This is a city of over 6 million people. And there may be that many stories out there today. I have no words to express how I feel just now. 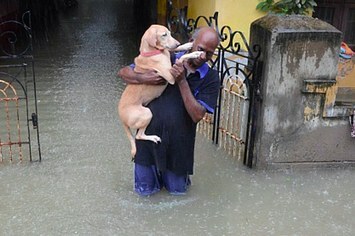 But I still have one word for Chennai and its people today! In typical ‘namma’ Chennai lingo: Whistle-Podu! Author AVIS ViswanathanPosted on December 3, 2015 March 14, 2016 Categories Art of Living, Chennai, Compassion, http://schemas.google.com/blogger/2008/kind#post, Inner Peace, Intelligent Living, The Postbox, Whistle-Podu!Leave a comment on Whistle-Podu for Chennai and her people! If you stop complaining, you can see the magic and beauty of Life! Having to use auto-rickshaws in Chennai is no easy task. Most auto-rickshaw drivers lack sensitivity. They are rude. They ply only when you agree to pay over the meter. And almost all of them violate every single traffic rule – they break traffic signs and are sure to enter one-ways from the opposite direction! Over a period of time, I have stopped fighting (with) these guys. I greet them with a polite thank you when they stop in response to my call. I begin the conversation saying, “You turn on the meter and I’ll pay you over that amount when I alight at my destination.” As I engage the vehicle for the journey, I do insist that the auto-rickshaw driver goes per my directions and follows all traffic rules – including not speaking on the mobile phone. Nine times out of 10 this approach works. The only time I fail to get an auto-rickshaw driver to buy in is when he is headed in different direction from where I want to go. This approach has helped me transform not just the way I experience auto-rickshaw drivers. 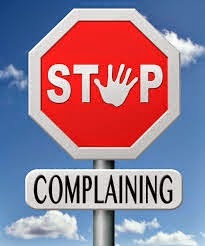 It has also helped me stop complaining about things around me, and in my Life, that I am currently incapable of fixing. It is so true in India that we have millions of things to complain about. The state of our roads, the power situation, the garbage on the streets, the insensitivity of road-users that compounds our traffic woes, the mosquitoes, the rate of crime, the attitude of law enforcement agencies – these are among the several issues that affect us gravely, and in the face, on a daily basis. And, of course, if you are in Chennai, the auto-rickshaw drivers are sure to leave you irritated and fuming! As I started using auto-rickshaws more frequently, and as I found a way to deal with them efficiently, I found myself complaining less. About everything. I realized that when we have a problem with a situation, we must either fix it – if we can – or simply keep quiet. Complaining doesn’t help. It only increases our stress levels and makes us bitter with Life. 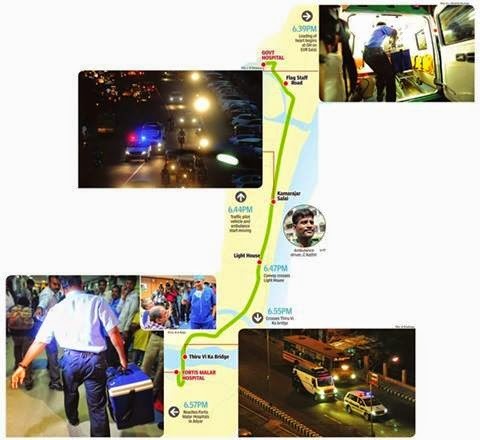 Much of the rage and insensitivity that we see on Indian roads is a result of pent up anger that comes from incessant and unresolved complaining. People who go on complaining about this or that or the other are never at peace. When we are not at peace with our world, and with ourselves, we cannot see the magic and beauty of Life. To be sure, there is beauty in every context or situation in Life that is available for us to see. It is available 24 x 7. Amidst all the ruthlessness we see around us, there is a lot of kindness and compassion which is still there. For all the disrepair that we human beings cause our cities, the sun and the moon and the stars still continue to rise and shower us their grace and brilliance; the birds continue to chirp and make music despite all the cacophony below. But, of course, we will be able to see all this beauty, experience it and rejoice in it, only when we stop complaining. Through victory or defeat, stay unmoved. 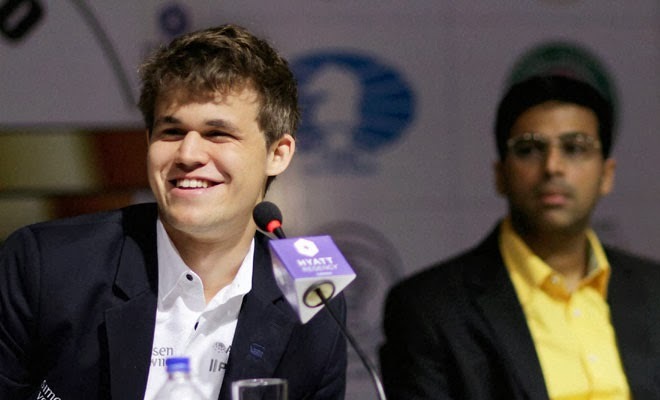 Two interesting perspectives, and learnings, came up after the recently-concluded World Chess Championship in Chennai, where Magnus Carslen, 23, became the new World Chess Champion, defeating Viswanathan Anand, 43. After the emphatic win, Carlsen spoke of Anand to The Times of India’s Susan Ninan: “Although he’s an all-time great player, his results lately have not been too good and he’ll need some time to readjust to be able to come back. In this match I showed him in a way that although he’s taught me many things in the past, it’s probably now my turn to teach him. So, it’s safe to say I’ve surpassed him now.” I was not surprised to see Carlsen’s statement or his conceit. 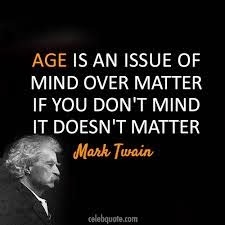 It’s his age, I told myself, to think and express himself that way. This morning, I read what Anand told The Times of India’s Chidanand Rajghatta, in response to a question if Anand really believes Carlsen can teach him: “I wasn’t expecting him to be gracious, so fair enough. The winner can say anything when he wins… so I guess we will just have to swallow it for now.” Considered as one of the greatest chess players of all time, and given his equanimity, it was but expected of Anand to be accepting and graceful. I can relate to both these attitudes. I once had the misplaced brashness of Carlsen – when I was his age! In those times, I used to imagine that you needed to display your aggression, that you needed to be “seen” as a doer – that, only through such visibility, you could build a reputation as “someone to reckon with”. As I became more and more successful, I vainly believed that “I” was causing all that success. I remember, as a young, firebrand, civic journalist, I was mandated by my mentor and boss, “Master” C.P.Seshadri to run a weekly column in The Indian Express’ Chennai (then Madras) edition. My stories reported the lack of amenities in the suburbs of the city. The nature of coverage, and the newspaper’s reach, made the column and me very popular. I began to assume that I was all-important and, therefore, over time grew irreverent. Now, I was on the editorial team in the paper and so, was technically not liable to report stories. The head of the reporting team was a very senior journalist called Rmt.Sambandam – his experience was my age at that time! Sambandam was a stalwart in Chennai media and everyone in our paper, and among competition, looked up to him. But I remained irreverent and did not greet him or even acknowledge his presence when I saw him in the hallway or when we rode in an elevator together. Somewhere in my mind, I had developed this holier-than-thou feeling – that made me believe that I was delivering stories that Sambandam’s team was “incapable” of reporting. Years passed. I went my way in Life. I built my career in the media. And then I quit the media world to join the corporate sector. Eventually, after almost a decade of work experience behind me, I went on to set up my own consulting practice. Sambandam, in this time, grew within the Indian Express Group. And eventually went on to edit the Group’s Tamil paper Dinamani. I was not aware of this development though. So, I was dazed when, one afternoon, when I landed up at the Dinamani office, to meet someone “senior” to seek some information I needed, I was ushered into Sambandam’s room!! Sambandam greeted me with a beaming smile! “AVIS! My boy! How are you?” he exclaimed. I tried to mutter a reply but I could not. I had never expected him to be there. I quickly recalled, in a flash, the innumerable times that I had looked away from the man. I wondered what he may be thinking of me. To be sure, over those years, I had sobered down and had realized that to behave haughtily was petty. But I could not undo what I had already done. Especially with Sambandam. And here I was, in front of him, and I did not know what to say or where to begin. I was speechless. With my raw ambition, as a rookie journalist, I had run roughshod over this man and his team. Not that it affected them. But I imagined, vainly, that it had! Here I was being feted by the man himself. It was both humbling and embarrassing. In fact, I was ashamed of my past conduct. In that brief meeting Sambandam, unwittingly, taught me “how vain it was to sit on a pedestal”. That’s perhaps why I related to Anand’s sagacity, in response to Carlsen’s bombastic claim, when I read his interview this morning. I have learned from Life that “Victory” and “Defeat” are labels that we pin on events that happen in our lives. When you understand and examine Life deeply these labels have no consequence. You and I are mere specks on this vast cosmic landscape. We neither engineer our successes nor do we cause our failures. We keep on acting, doing what’s within our control and what we think is right. 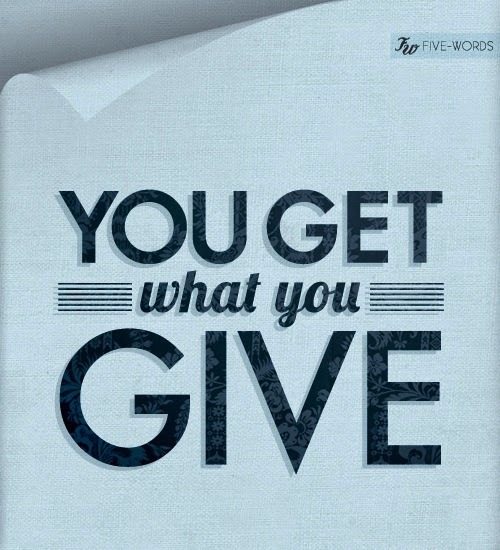 Sometimes, these actions lead to results that meet or exceed our expectations – we call these results our successes. At times, our actions backfire and intended results are not achieved – we call these moments our failures. That’s simply it. There is no need, therefore, to sit on a pedestal when we succeed or mourn in self-pity when we fail. Being unmoved in either situation is an intelligent choice. Irrespective of what others may say or think, this is a choice that can surely guarantee your inner peace!